Embattled chief justice Irene Mambilima has confirmed that she is 66 years old and passed the normal retirement age. But Mambilima claims that the new constitution which has been roundly condemned for inconsistencies allows her and other judges to remain in office until the age of 70. Speaking through Kalumba Chisambisha-Slavin, who gave his designation as ‘Judiciary Public Relations Officer’, Mambilima was at pains to explain the word ‘may’. “The use of the word “may” in the above provision means that retirement upon attaining the age of 65 is that the discretion of a particular Judge,” reads the statement. But this is pure speculation by Mambilima and her spokesperson. In the first place, it is only the Constitutional Court that has the powers to interpret the constitution and not the chief justice or the judiciary public relations officer who maybe a journalist from Matero university. 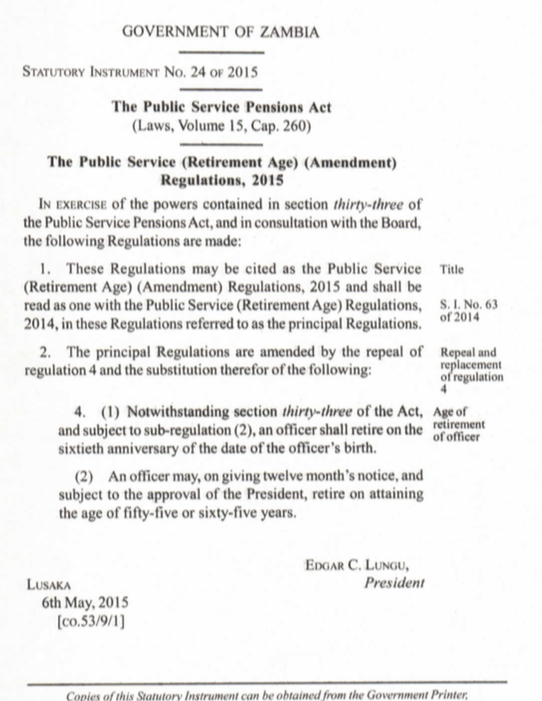 Secondly, this provision contravenes the National Pensions Scheme Authority laws which state that public workers must retire at 65. Maybe judges have their own private pensions scheme. 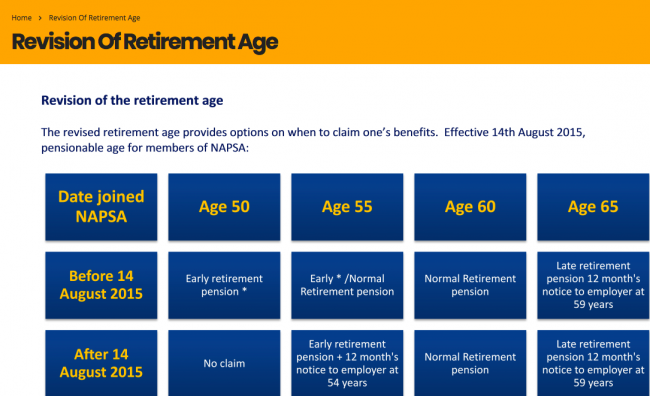 We wonder what contributions 69-year-old judges make to NAPSA. Moreover, this is exactly what we are talking about. It shows the type of hypocrites we have as judges. How did they allow such an anomaly to be in the constitution? We are aware that judges made submissions to the technical committee that was drafting and revising the constitution. They knew that this article would be inconsistent with other laws but they paid a blind eye to it because it favours them. How can public officials be required to retire at 70 when most of them are impaired if not senile in a country whose life expectancy is below 50? Is this not the main reason that it takes ten years for one court case to be concluded? The old folk sitting as judges are too old to handle many cases in a big population like Zambia. They should retire at 65 like everyone else. There is nothing special about judges that warranties them to stay in office until they fail to walk the way Mambilima is about to. When there were fewer educated lawyers, this would have been justifiable. But now there are more lawyers than we need so there is no need to remain office until70 when you are only able to write one page of a judgment everyday.